The show annually features the finest galleries, showcasing established and up-and-coming talent alongside secondary market masters. Art San Diego is sought by art collectors from Southern California, as well as top art aficionados and insiders from across the country and around the world. Visitors can expect to examine artwork from more than 70 exhibitors showing works from over 500 established and emerging artists. This year’s anniversary celebration will consist of vibrant contemporary art exhibits, exciting programming and a variety of surprises. The 2018 theme is [ALLURE], based on the undeniable power of contemporary and modern art to captivate, seduce, and charm buyers, collectors and dealers who love their work. This year, Art San Diego continues their goal of bringing the threads of community together through the vehicle of art and art awareness. With [ALLURE] as the stepping off point, Art San Diego intends to maximize their partnerships within the community to activate the Access to Art Program. The Access to Art Program has been created in celebration of Art San Diego’s 10th anniversary, aiming to generate a sizeable donation for selected charities and to share opportunities in art, design, business development and more. The program, sponsored by UBS Financial Services, is set to begin August 2018 and continue after the show, with hopes of annual expansion. This year’s Access to Art will benefit Monarch School, Generate Hope and HEAL(Homeless Empowerment Through Art) and work in partnership with the Museum of Contemporary Art San Diego, San Diego International Film Festival, and the San Diego Visual Art Network to launch this new community initiative. The new “First Look Free Friday” will serve as the event’s official media day, held Friday, Oct. 19 from 1 p.m. to 5:30 p.m. The event offers free admission to members of the press and the public during this time frame on Friday only. Entrance into the Friday Collectors’ Opening Night Party from 6 to 9 p.m. does require a ticket. The Spotlight Program gives collectors a closer look at several cutting-edge galleries and artists. Each Spotlight Artist creates a site-specific exhibition. The 2018 Art Labs feature curated projects by San Diego-based artists to showcase the thriving art landscape of the city. The LaunchPad Artist Program provides a young, unrepresented artist the opportunity to present a site-specific exhibition within the show. This program is open to up-and-coming artists who demonstrate exceptional talent in their field of work and who want to make art their career. The San Diego Art Prize is an embodiment of the idea that the visual arts are a necessary and rewarding ingredient of any world-class city, and a building block of its residents’ lifestyles. Conceived to promote and encourage dialogue, reflection and social interaction about San Diego’s art and culture, this annual award honors artistic expression. The San Diego Art Prize, presented by the San Diego Visual Arts Network, awards a cash prize and exhibition opportunities to established and emerging San Diego visual artists. The winner is mentored by an established artist and a joint installation is created and featured in a major exhibition within the San Diego community. Art Talks provide close-up conversations between artists, curators and art professionals. These dialogues provide the opportunity to speak out loud about meaningful and uncommonly addressed issues by the creators about their own lives and their creative processes. Several discussions are focused on providing useful information for those interested in building their private or corporate collections. This year’s talks include one from award-winning interior designer Dorothy Willetts and renowned architect and artist Christopher Mercier. *Special Press-only Preview (Free Admission): Friday, Oct. 19, 1 to 5:30 p.m.
Collectors’ Opening Night Party (Admission/Fee Required to Attend): Friday, Oct. 19, 6 to 9 p.m.
Saturday, Oct. 20: Noon to 8 p.m.
Sunday, Oct. 21: Noon to 5 p.m.
Art San Diego 2018, presented by UBS Financial Services, will take place Oct. 18–Oct. 21, 2018, at the Wyland Center at the Del Mar Fairgrounds. Art San Diego has emerged as one of the best-attended cultural events in Southern California. 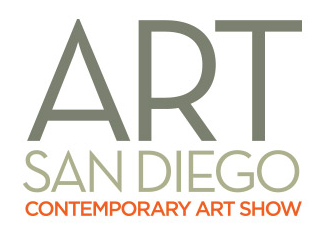 Founded in 2009 as the first and only contemporary art show in San Diego, Art San Diego is a four-day art event that features more than 500 leading contemporary artists and offers dynamic programming that includes museum exhibitions, Art Labs, events, and Art Talks focused on collecting. Now in its 10th year, the four-day event attracts more than 15,000 high-net-worth collectors. Art San Diego provides a focus on San Diego’s vibrant and diverse cultural art scene alongside an exciting collection of international galleries and artists. For more information, visit www.art-sandiego.com. Since 2009, Redwood Media Group (RMG) has been revolutionizing the global fine art community by helping artists and gallery owners grow their businesses through fine art exhibitions and publications, art business education, mentoring, marketing, and social media. Today, RMG owns and operates six fine art shows: Artexpo New York, Spectrum Miami, Red Dot Miami, Art San Diego, and Art Santa Fe. Artexpo New York, the world's largest fine art trade show for 40 years and counting, attracts more than 40,000 art enthusiasts every year, including nearly 5,000 industry buyers. Spectrum Miami and Red Dot Miami take place during Miami Art Week, an annual attraction that draws over 100,000 art collectors to the city. Over the past eight years, RMG has welcomed hundreds of thousands of visitors to their events, sold millions of dollars worth of art, and helped thousands of unrepresented and established artists launch or grow their careers. Aside from hosting multiple high-end art shows throughout the year, RMG also owns Art Business News.